Concentric's Business Excellence programme (“CBE”) underpins the group's approach to sustainability in everything we do. 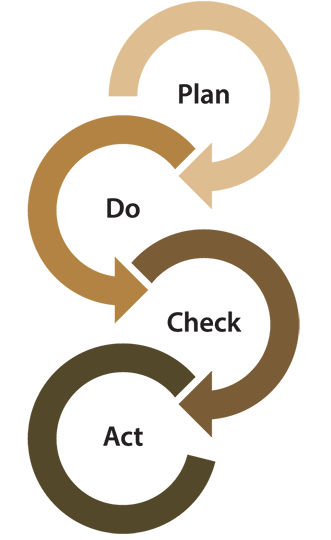 Concentric pursues continuous improvement and lean-manufacturing methods by applying the Baldrige/EFQM (European Federation of Quality Management) models through the CBE improvement programme. Personnel at all levels take part in development activities and are encouraged to increase their skills and expertise through relevant training programmes. The improvement programme is applied to all functional areas of the business, as illustrated by the CBE spotlight interviews.